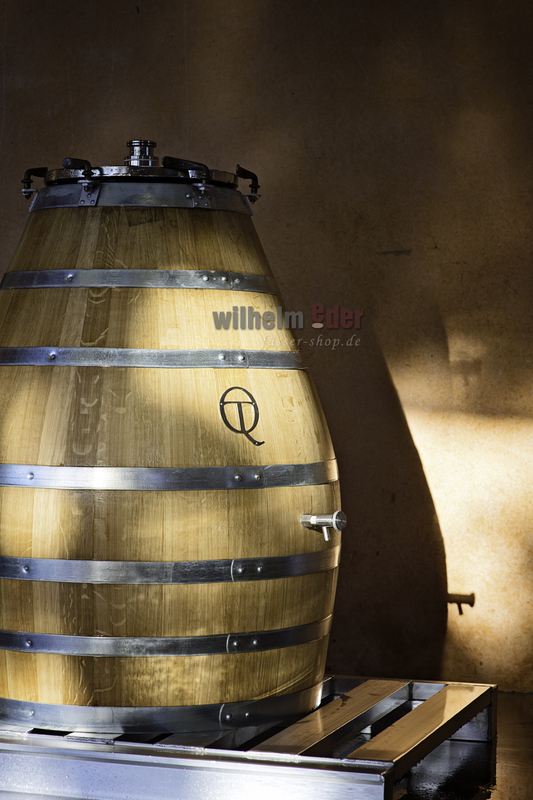 Product information "Perle de Quintessence 390 l"
The latest innovation of Quintessence in the area of fermentation is the barrel „Perle de Quintessence“. 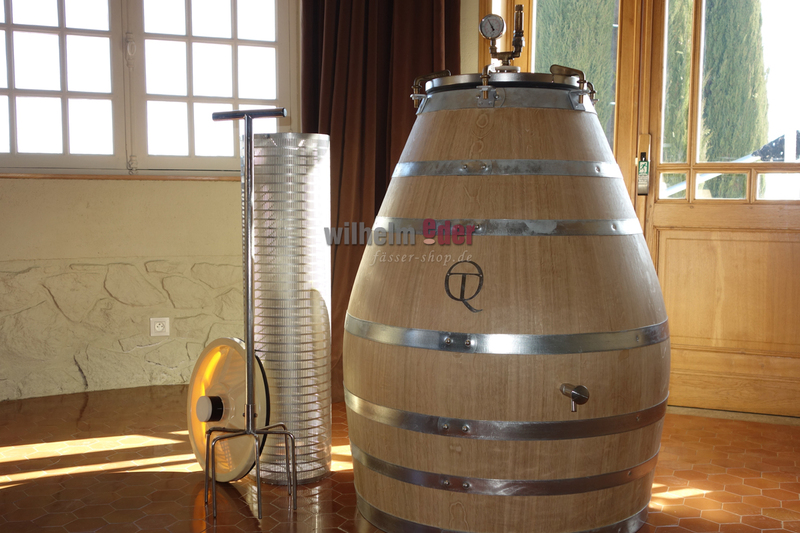 It is developed for the fermentation of special wines with the cut off and oval design. The technical specifications and the unique design was carefully designed and crafted in creative collaboration of Tonnellerie Quintessence and a Grand Cru Chateau in St. Emilion. 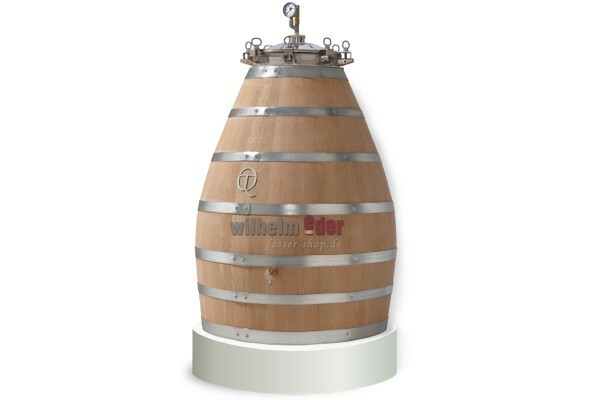 This barrel, which has been presented to the public recently, offers an elegant touch to premium wines. The story of Perle de Quintessence started in a restaurant in St. Emilion with a sketch on a table napkin. 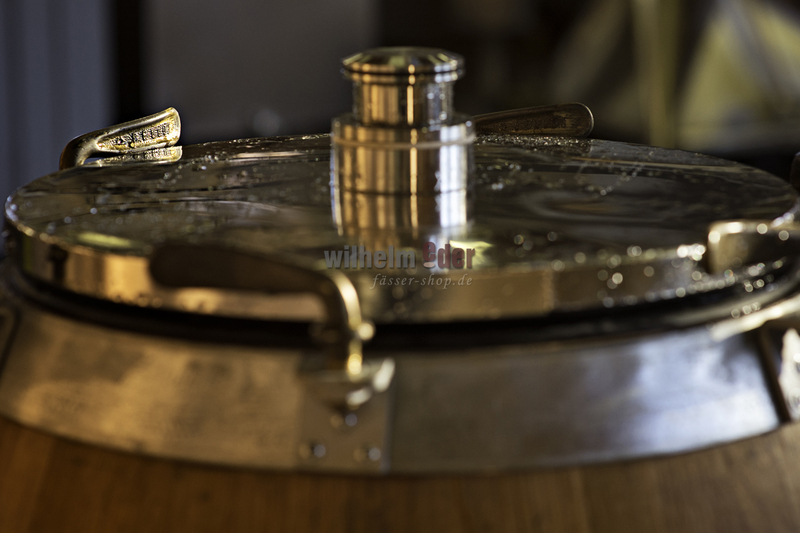 To get access to the content during the fermentation without altering the barrel. 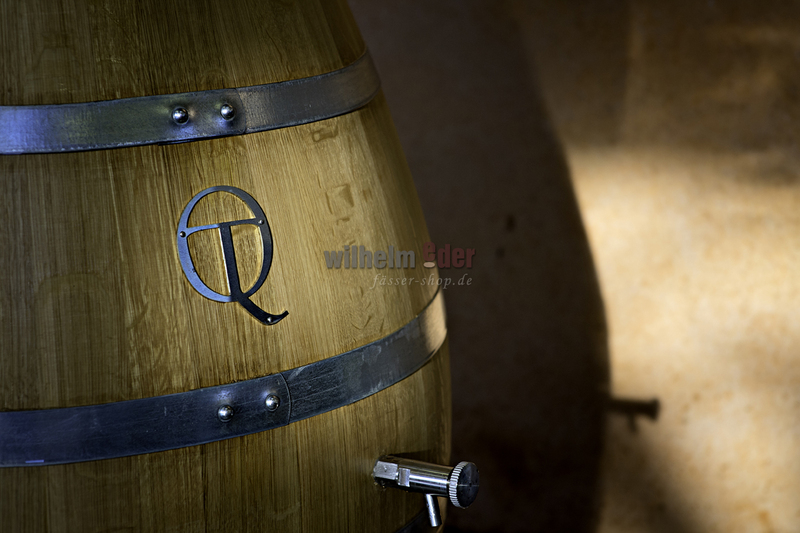 A prototype was built in the Tonnellerie Quintessence with traditional cooper tools and was tested in a winery. To get constant quality they tested two different vintages with respectively eight Perle de Quintessence barrels. An extended pre-toast makes the staves more flexible and allows the special design of the barrel. After the pre-toast they use a special developed Toasting called “Perle”. It preserves the fruit and adds a hint of oak and complexity. An elegant solution for many grape varieties. Made of French oak and equipped with a stainless steel cap and pressure valve. Please consider we have a delivery time of ca. 30 days for this item.